Enter your name and email address then once you confirm your subscription you will get the link to download the grade book. I have sold out of the advance edition of my first book. 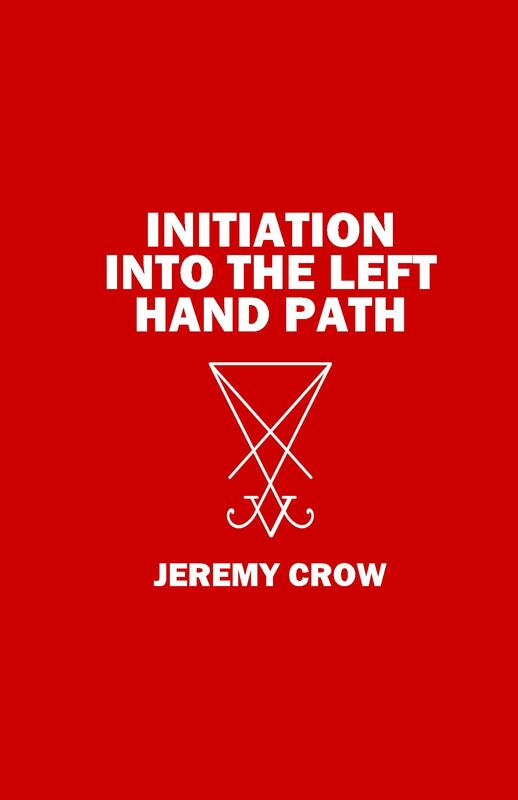 It is called Initiation into the Left Hand Path. There are only 45 signed and numbered copies of this in existence. Featuring original artwork by Tasha Menary. The book contains four Left Hand Path ceremonies. The first three are solo rites and the final ceremony is a group ritual. A new edition will be released later in 2017. Follow me on Twitter @JeremyCrow to stay informed on new releases. Sometimes we get stuck in the routine of everyday life. It is inevitable. Here is an exercise that I would like you all to try. It will help give you fresh eyes. It will also (hopefully) give you new insight into yourself and the world. The assignment is to apply these types of interpretations to your waking life for at least a full day. This is one of my favorite exercises. Not only does it give you insight into your inner life, but it suggests other options for dealing with these daily events. If you encounter a hostile person you can encourage them to express their concern. If you experience a messy room, instead of complaining you can clean it up! A third reason why I love this exercise is because after you have done it a few times while awake, sometimes you end up doing it in a dream which often triggers the realization that you are actually dreaming. The resultant state of dreaming while aware is called Lucid Dreaming. Not only is this extremely enjoyable, but it lends itself to even more opportunity for gaining self knowledge, while sleeping or awake. Just as a warning, the longer the period of time you perform this exercise for, the weirder things get! If it is getting too intense, discontinue to exercise immediately. You can always start up again at a later date after you've had a chance to process the experience. This is also good training for occultists who intend to someday take what is referred to as The Oath of The Abyss. While they aren't exactly the same thing, they do share certain elements. Have fun with this assignment and remember not to try flying off a tall building or breathing underwater! If you have any questions, please feel free to contact me via my Google account. If you feel that this material is important and useful please share it using the social media buttons provided at the top and bottom of each article. If you want to help support this website & the development of future content and projects please consider making a donation of any amount using the PayPal button below. 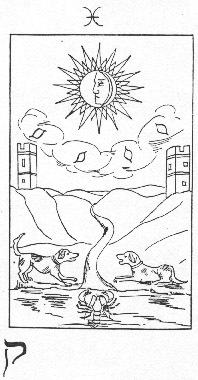 The above Tarot image is one of the 22 Major Arcana cards used by the Whare-Ra Temple of the Hermetic Order of the Golden Dawn in New Zealand. One method of learning the Tarot is to colour your own set of images. Read an article about this here. Throughout this site are all 22 images that you can save to your computer and print out for colouring. Just right-click on the image and select "Save Image." This is the nineteenth in the series. Clicking directly on the image will bring you to the page on this site that contains the next image in the traditional sequence. I have also created a Site Map based on this sequence to provide an easy method of finding any specific Tarot image.